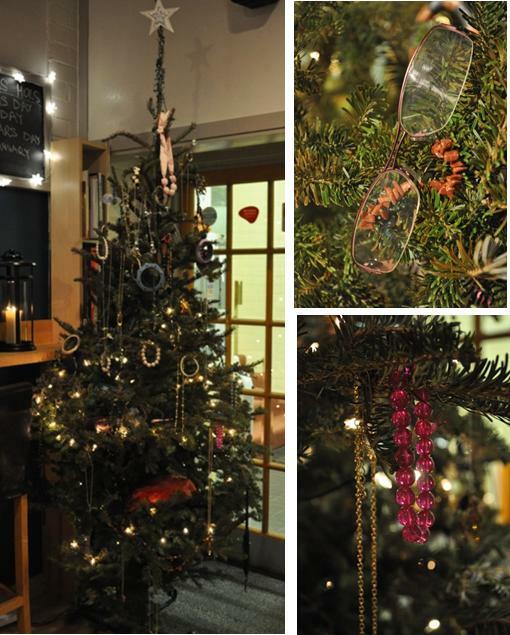 Many of you will remember our blog about the spec-tacular Christmas trees set up in Dunoon, Argyll for Christmas 2010 when people donated old glasses by hanging them on the trees and took away a “thank you” tag to hang on their own tree at home. For Christmas 2011, the theme was continued, but in addition, people were invited to donate small pieces of costume jewellry which they no longer wanted. These will be given as gifts to orphan girls in Malawi. Thank you, once again, to the people of Dunoon and surrounding districts who were delighted to support this initiative. I hear the trees almost collapsed under the weight of your gifts.